These posts are a little old, but they are worth mentioning. 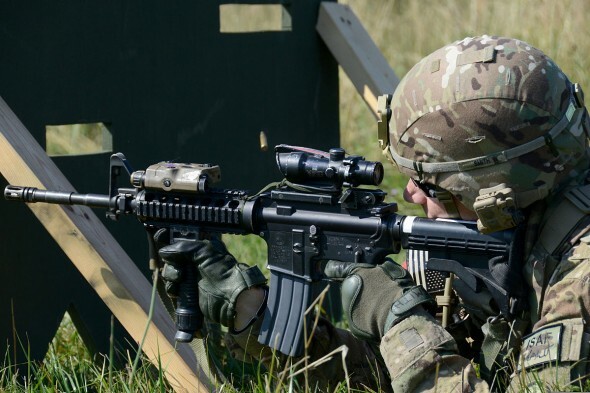 Jeff Gurwitch at www.defensereview.com discusses how closely modern military weapons and competition 3 gun setups can closely mirror each other. One of the more interesting notes is that while there is much crossover, 3 gun competitors utilize muzzle breaks much more whilst the military men utilize surefire flash suppressors. Makes sense. Please check out these two links, they are rife with information that can be utilized in examining your weapon setup.